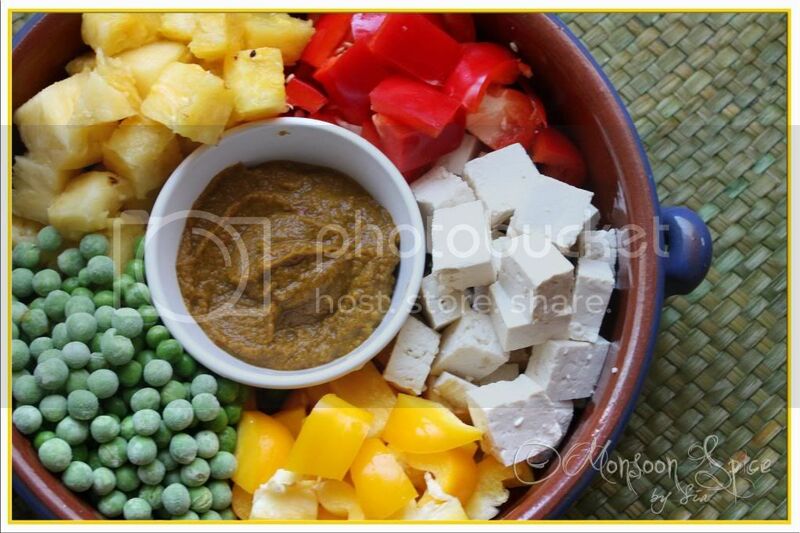 Monsoon Spice | Unveil the Magic of Spices...: Tofu & Pineapple Thai Yellow Curry: Sunshine, at least, in My Bowl! Tofu & Pineapple Thai Yellow Curry: Sunshine, at least, in My Bowl! Talking about other things, I have been busy shopping for new spring wardrobe (what else?;). But at the same time it’s really saddening to see many top shops and retail stores shutting down due to credit crunch. I kind of feel guilty when I see many people losing their jobs and I am busy walking around the malls with colourful shopping bags filled with new cloths and stuff for home! Once busy and overcrowded shopping malls and streets are now almost empty with very little crowd actually buying things rather than just window shopping. The ups and downs of life, some things that are beyond our control!!! But what is within our control is cooking food at home instead of ordering takeaways or going to restaurants. K and I are not great fans of eating out. We choose to cook and experimenting in our kitchen than shedding unnecessary money on plate of food that we don’t enjoy. There are very few restaurants in our neck of wood that serves good food and that may be one of the reasons why we enjoy cooking. And having handful of friends is also another reason for not eating out that often. Whatever reason it may be, we both are kind of people who enjoy spending quality time in kitchen, doing things together and having lots of fun with experimenting and tasting new cuisines. One cuisine that we are very comfortable with cooking is Thai. The simple flavours and aromatic ingredients make it a pleasant eating experience. Pour fridge and freezer is always stocked with fresh batch of homemade Thai curry pastes and when needed all we have to do it take them out and use in making quick and delicious pot of Thai curries. This Tofu & Pineapple Thai Yellow Curry is one such recipe that requires just few minutes and very little effort in stirring a pot full of aromatic and flavoursome dish in jiffy. The sweet and sour pineapple with soft tofu is a brilliant combination and the addition of peppers and peas gives it a crunchy and peppery flavour. Served along fragrant Thai Jasmine Rice, this Tofu & Pineapple Thai Yellow Curry is one plate of delicious meal to shoo away all the blues! 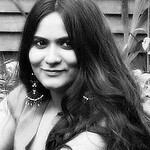 :) And off this goes to dear Priya who is guest hosting this month's IAVW-Thai, a vegan event started by lovely Vaishali. Heat a heavy bottomed pan and empty 1/3rd of Coconut milk in a pan. Stir this coconut milk on medium heat till its sweet fragrance is released and starts to thicken, about 4-5 minutes, in a medium flame. Now add 2-3 tbsp of Yellow Curry Paste and stir well. Keep stirring for 2-3 minutes till the curry paste blends well with the coconut milk and its raw smell disappears. Add the vegetables, pineapple and tofu and mix them well so that each piece is coated with coconut and curry paste mixture. Mix in vegetable stock or water, remaining coconut milk, Soya sauce, kaffir lime leaves & lemon grass if using, brown sugar and salt to taste. Cover and cook for 5 minutes. Open the lid, add roughly chopped basil leaves and adjust the seasonings. Simmer the heat and let it cook uncovered for another 5 minutes till the vegetables are cooked to tender. Make sure that the vegetables are not overcooked and retain their crunch. Garnish with finely chopped coriander leaves and greens of spring onion and serve with aromatic bowl of Jasmine Rice and enjoy. Wishing all the readers of Monsoon Spice a very Happy Ugadi! Vow Sia, a must try on my list. The curry really looks yummy and with all that pineapple, its sure to take away your blues. I am a huge fan of thai food, but have never tried yellow curry...I have bookmarked this, will give it a try soon...It looks so mouthwatering!! oh i can imagine how the pineapple must've been in that curry. absolutely gorgeous!! That looks absolutely delish Sia!! That really does look like a bowl of sunshine...lovely curry ! I really liked your blog !!! 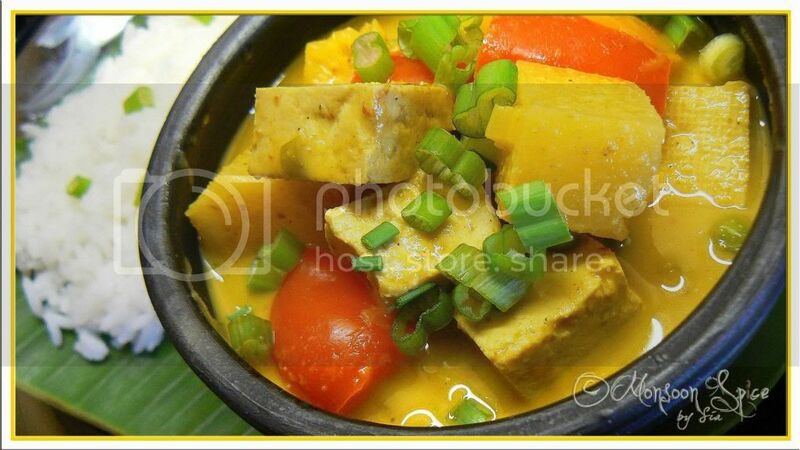 looking at the pictures makes my mouth water... will have to try this tofu and pineapple curry since my hubby loves tofu !!! Love the colour of this dish.I am sure it might have tasted great with all those ingredients :)Happy Ugadi to you. Hummm I love yellow curry, this looks just delicious!!! Coming to the cribbing about weather part, I love those words you have quoted. Am apprehensive about pineapple, but your curry looks beautiful! Great dish, very colorful and tasty. Happy Ugadi to you too. Have a wonderful new year's day. Wishing you and your family a very Happy Ugadi!! I wish I had thai curry's all stocked up in my freezer, I could eat this cuisine more if I had it... I think I will go in search of the elusive kaffir lime leaves this weekend, I HAVE to make some of this! Hi Sia, Pineapple and thai both my favourite, Thanks for sharing ur sunshine in to our lives. Have to wait for 9 days after Ramnavmi, Thai is one thing i'm looking for to cook. Thanks. Looks lovely! gr8 click asusual! 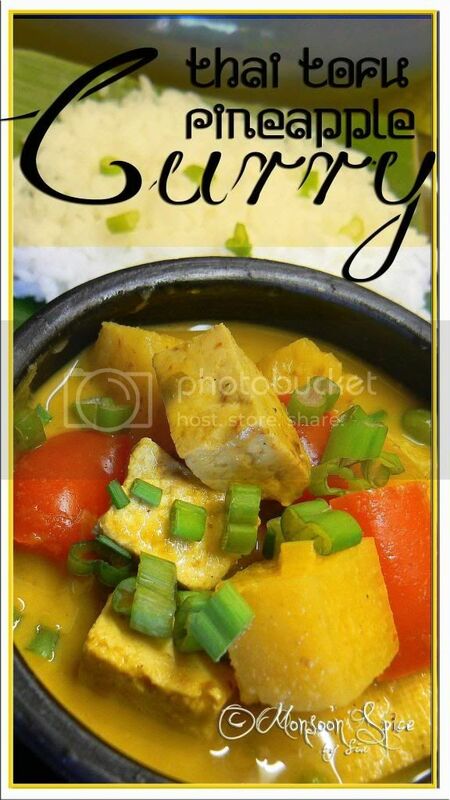 Yummy curry..
pineapple and tofu nice..i heard so many recipes which used pineapple but i was always afraid to use a fruit in curry but your looks so amazing.. I was planning on curry for supper tonight...I think I'll go with this one! OT but what font did you use for your watermark on your image? Looks stunning! nice combination of tofu and pineapple! truly delicious! That is such a gorgeous click!! !Love Thai food! I'm salivating! It looks fabulously yummy Sia. Wish you too a happy Ugadi. This is really sunshine in a bowl. The colour is fantastic and I kinda like the addition of pineapple in it. I would love to try this dish. I am intrigued by the taste of pineapples amidst the Thai curry.